Those who are doing work related to NCLT I find them to be the next level of teachers for the corporate world where they can share the various angles of strategic management failures. I will not be surprised if I find a few authors of corporate failures coming out from the professional who is doing the work of NCLT. Its huge lesson book for the upcoming generation that how corporate failures have eroded the goodwill and converted them same is a bankrupt company or down with debt my many times compared to their profits. The most surprising the thing is that when the debt was climbing new heights how did the management keep moving ahead despite knowing that the surging debt is hundred times more than the profits. How could long-term overvalued leveraged presentation and books of accounts be taken forward by the financial institutions? Corporate governance has been a nowhere. It’s a collapse at every angle of the economy with breach of trust of the leaders of the Industry. I know many cost accountants were auditors of these companies who have reached to the door of NCLT today but the biggest question is that did those audit reports raised the red flag for the faulty decision making and wrong short-lived myopic strategic decision adopted by the management. Even if so then they have been ignored by whom and what was their intention for hiding the facts of the audit reports. The current cases at NCLT and the way they are rising speaks audit have been a failure and they have failed to alert anyone in the system or no one bothered to listen. Practically auditors and audit report have simply remained as a compliance part and not being taken as an efficient report to judge the direction of how the company is moving ahead. Risk management has been a big failure. Cheap debt, unsustainable business plans, extravagant valuations, myopic short-term vision, created a huge trouble for the Indian corporate. The management strategy has been so short-lived and so hypersensitive without accessing the various risk of diversifying the business. Well, diversification of risk is the key matter but shifting the focus from the core business and getting into noncore business is not a blue ocean strategy to move ahead. 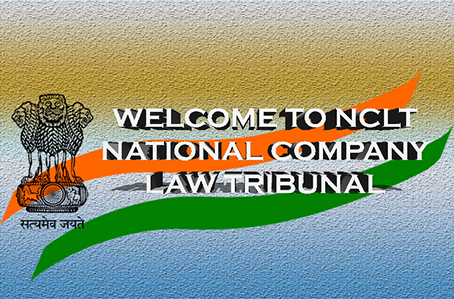 The cases like Ruia’s ,Singal, Gaur’s ,Dhoots and many more Icon of the Indian industries reveals that somewhere they had adopted decision wrong decisions in management due to which they have ended up with NCLT. Government policy has been one of the reasons behind the collapse but at the same time over leveraged foreign assets take over turns out to be a huge lesson where strategic decision went for a toss. In many cases as per the media and other public domain sources I find that corporate frauds were created in some places but in many places, the whole management planning and decision was so myopic that at any volatile movement of any of the factors of the economy has eroded their goodwill and creditability for the long term. Those managers and senior team management people who took hefty packages and lavish corporate presentation and myopic decision making have now mostly moved into a new organization and are currently behind the crowd of corporate India. I find that execution of strategic decision has been a significant risk for these companies. Yes, execution is not a cup of tea for everyone. The failure at various angles for these companies who went through NCLT speaks loud and clear that execution has been a failure and measured steps and efficient cost management was a failure. Management decision making can go wrong but not to the level of mounting debt where the whole system comes under collapse. These management decision failures raise my thought that whistleblowers need to come up ahead for raising the red flag when decision making goes wrong and insiders could find the same. These whistleblowers would at least save the Banks and Financial intuition and minority shareholder stakes. Whistleblowers would keep these managements under vigilance when they don’t care about a wrong decision. Over-leveraged valuations and taking quantum leaps without accessing the risk management within the decision or policy which have been taken is a significant threat and risk for the economy when the mounting loss spills over the economy. Cross-border transactions have turned out to be a failure for the corporate. There is endless reason for the same but the biggest of them is lack of risk measurement and lack for another Plan B in case of failure of the earlier strategy. Measured and efficient strategic decision making have not been taken by any of these NCLT cases. The biggest burden for these failures is that trust and risk-taking ability on the global platform comes under a question mark. Financial institutions might not back the upcoming growth opportunities and diversification of business would come under regulatory approval in the long term. The back of license raj might erupt again. More than the credit it’s the depth of loss which spills over in the long term decreases the Indian corporate stability in the near term.